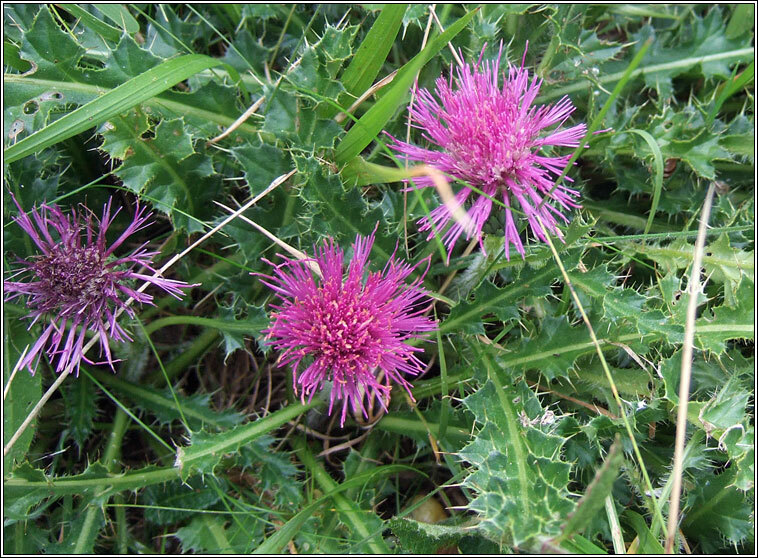 Habitat: Found on species-rich, short calcareous grasslands, mainly southern and eastern England and in the midlands. Absent from Scotland and Ireland. 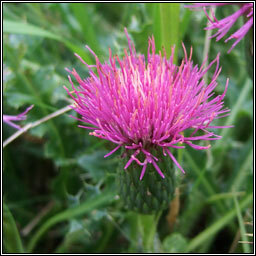 Sometimes known as the Picnic Thistle as it is easily sat on by mistake! Basal rosette of very spiny, wavy-edged leaves. The reddish-purple flowers arise from the centre of the basal rosette, usually solitary and unstalked. Flowers 3-4cm tall.